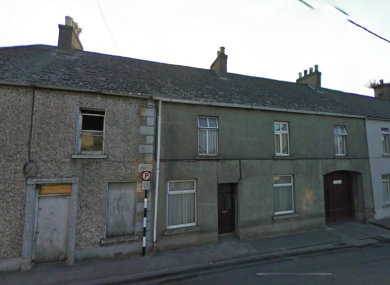 THE FORMER OWNER of one of the houses due to be demolished in Kilkenny to make way for a new roadway has said that he is eager for the project to press ahead, despite the fact that he was effectively forced by the council to sell the property. Michael Minogue sold the house to Kilkenny County Council in 2008 through a compulsory purchase order for “very small money”. “It was not much at all that we got for it, even with the present day value of property, because it’s right in the middle of Kilkenny City,” he told TheJournal.ie. The house was the first he and his wife bought, in the late 60s and they lived there with their family until the mid 70s, renting out the property up until they were obliged to sell it to the council to make way for the new roadway. However Minogue said he is not angry at the council and instead is frustrated at the delay in demolishing the house and moving forward with the plans, which have been in place for a number of years. A local group has claimed that medieval remains – a gable wall and a shouldered chimney – at one of the 19th century houses should be protected by the council, which has asked archaeologists to assess the site. The Kilkenny businessman said the council has been doing “some fantastic work” in the city and that the new road is a necessity as traffic in that area is “chockerblock every single day from 4pm onwards”. Just last week the EU said it plans to investigate the proposal to demolish the houses for the new roadway, after a complaint from MEP Nessa Childers. The council said that while assessments by archaeologists are ongoing, “there is not sufficient evidence” to definitively date the gable wall in one of the properties. Email “Former owner of Kilkenny ‘heritage house’ says delay in demolition ‘wasting taxpayers’ money’”. Feedback on “Former owner of Kilkenny ‘heritage house’ says delay in demolition ‘wasting taxpayers’ money’”.